Do you live in Manila? D.I.Y Printing Reviewed by: Andres Cruz DIY printing is the best printing service provider in the Philippines where I purchased a honeycomb t-shirt. The t-shirt quality is a too good and reasonable price. Echague Bazaar Reviewed by: Amy Fuerte Is it still operating? thanks for responding. Best Ramen Restaurants Around The Metro! Why choose werson mesh fence as your most reliable fence supplier ? Get local deals sent to you via QR code! Manila (Philippine English: /məˈnɪlə/; Filipino: Maynilà, [majˈnilaʔ]) is the capital and second largest city of the Philippines. It is one of thesixteen cities which, along with the municipality of Pateros, make up Metro Manila, the National Capital Region, whose overall population is around 12 million. 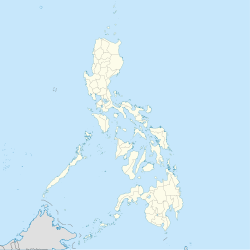 The city of Manila is located on the eastern shore of Manila Bay and is bordered by the cities of Navotas and Caloocan to the north;Quezon City and San Juan to the northeast; Mandaluyong to the east; Makati to the southeast, and Pasay to the south. It has a total population of 1,652,171 according to the 2010 census and is the second most populous city in the Philippines, behind Quezon City. The populace inhabit a land area of only 2,498 hectares, making Manila arguably the most densely populated city in the world. Manila (and more broadly, Metro Manila) is the economic and political capital of the Philippines, home to extensive commerce and some of the most historically and culturally significant landmarks in the country, as well as the seat of the executive and judicial branches of thegovernment. Manila was listed as a global city by the Globalization and World Cities Research Network in 2012. Manila is also the host to the Embassy of the United States and the Holy See Embassy (Apostolic Nunciature). Manila has many scientific and educational institutions, numerous sport facilities, and other culturally and historically significant venues. The city is politically divided into six legislative districts and consists of sixteen places: Binondo, Ermita, Intramuros, Malate, Paco,Pandacan, Port Area, Quiapo, Sampaloc, San Andrés, San Miguel, San Nicolas, Santa Ana, Santa Cruz, Santa Mesa and Tondo. These places are towns and communities absorbed by Manila the 19th Century. The earliest written account of the city is the 10th-century Laguna Copperplate Inscription which describes a Malay kingdom in what is now Manila maintaining diplomatic relations with the Indianized Kingdom of Medang in modern-day Java. The city had preferential trade withMing Dynasty China, which registered the place as "東都" (Dongdu). It then became a province of the Maharajanate of Majapahit and was called by its Sanskrit title, "षेलुरोन्ग्" (Selurong) before it was invaded by Brunei's Sultan Bolkiah and renamed كوتا سلودونڠ (Kota Saludong) or simply Maynilà, shortened from the Arabic nickname for Selurong, امان الله (Amanillah) meaning, "Security of God" or from the word "Maynilad", a native Tagalog term indicating the presence of Nilad flowers. Manila eventually became the center of Spanish activity in the Far East and one end of the Manila-Acapulco Galleon trade route linkingEurope, Latin America and Asia. The city would eventually be given the moniker of the "Pearl of the Orient", as a result of its central location in the vital Pacific sea trade routes. Several Chinese insurrections, local revolts, a British Occupation and a Sepoy mutiny also occurred shortly thereafter. Manila also saw the rise of the Philippine Revolution which was followed by the arrival of the Americans who made contributions to the city's urban planning and development only to have most of those improvements lost in the devastation of World War II. Since then the city has been rebuilt and has rapidly grown. From top, left to right: The Manila Bay area skyline, Rizal Monument, Gate of Fort Santiago,Malacañang Palace, Manila City Hall, Quiapo Church, and an area view of historic Binondo. Manila has become a well-known shopping hub of the country and it has been named as one of the best shopping destinations in Asia. Major shopping malls, markets and bazaars thrives in Manila. Robinsons Place Manila is the largest shopping mall in the city. The mall was the second and by-far, the largest Robinson Mall ever built byJohn Gokongwei, the mall features a wide range of local and international retail shops, dining outlets, entertainment facilities and service centers, it also features anchor stores such as Robinsons Supermarket, Robinsons Department Store and Robinsons Movieworld. SM Supermall maintains presence in the city. One of their shopping mall is the SM City Manila, the first SM Supermall in the city featuring major SM brands like the The SM Store, SM Supermarket, SM Cinemas and SM Foodcourt. The mall is located right beside the Manila City Hall. SM City San Lazaro is the second SM Supermall in Manila. It is located in Santa Cruz. SM City San Lazaro was constructed on the site of the former San Lazaro Hippodrome, a racetrack for horses. The building of the former Manila Royal Hotel in Quiapo which is famed for its revolving restaurant atop is now the SM Clearance Center which was established in 1972. Also, the site of the first SM Store is located at Carlos Palanca Sr. (formerly Echague) Street in San Miguel. Quiapo is referred as the "Old Downtown" where tiangges (flea market), botique shops, music and electronics stores are common. C.M. Recto Avenue is where lots of department stores are located. One of Recto Avenue's famous destination is Divisoria, home to numerous shopping malls in the city. It is also dubbed as the shopping mecca of the Philippines where everything is sold at bargain price. Binondo, the oldest Chinatown in the world,is the city's center of commerce and trade for all types of businesses run by Filipino-Chinese merchants with a wide variety of Chinese and Filipino shops and restaurants.